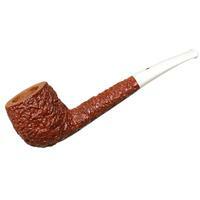 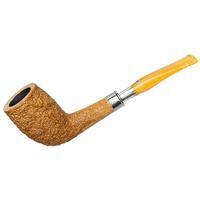 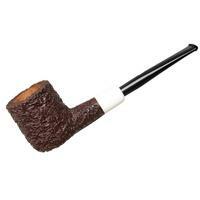 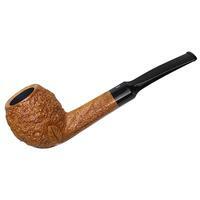 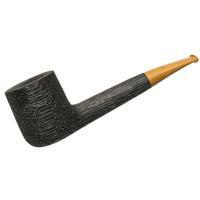 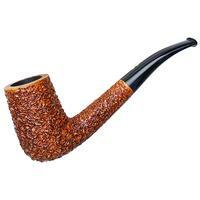 I've grown quite fond of the Hawkbill-like sense of curvature to the shank and stem which characterizes many of Castello's bent shapes, like this Sea Rock bent Billiard. 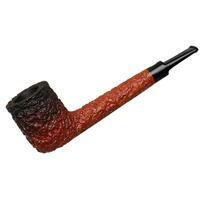 It makes for a fine match to the bold-heeled rendition, just as the jet-black acrylic pairs splendidly with the Sea Rock's dark, subtly warm color, and craggy texture. 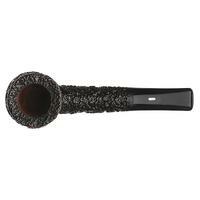 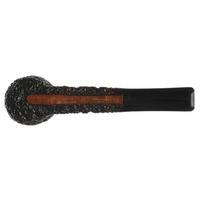 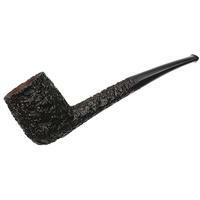 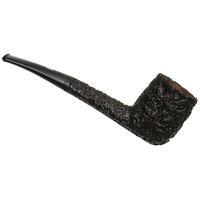 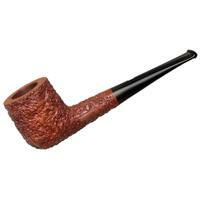 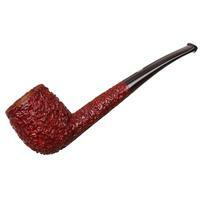 Bowl Height: 1.85 in./46.99 mm.